Happy Families. . HD Wallpaper and background images in the Mario and pêche, peach club. 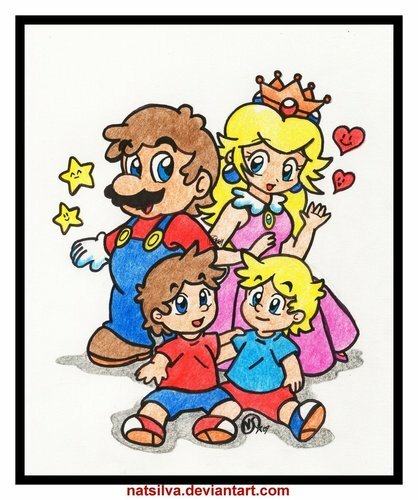 This Mario and pêche, peach fan art contains anime, bande dessinée, manga, and dessin animé. Any idea what their kids are called? There kid's names are Marc and Pete. Oh okay, there not in the games are they?